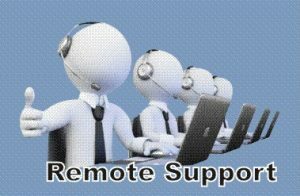 Call our Remote Support team when you need our help. This service is far cheaper than having a house call, and you’re dealing with the technicians you know. “Masterlink Support” will allow one of our technicians to connect to your computer. You will be able to see everything that’s happening, and we’ll explain how we’re fixing the issue, while you talk to our technician on the phone. Our technician will get you to click on one of the links below and give you instructions. Masterlink Support is safe. The technician fixing your computer is at our Torquay store and he’s probably the same technician who cames to your house or business. We cannot access your computer unless you open our support application and then call us to give our technician your ID Number and password. Masterlink Computers Qld cannot access your computer unless you have their “Masterlink Suppport” software running and you have provided the ID Number. Any information divulged to Masterlink Computers Qld during a remote support session, either through information directly divulged or accessed will be kept in the strictest confidence.